Oh, come on, pols, how can you say it is "irresponsible" to think Coffman might pull it off again? I think Crow will do it and sent him money. But to say "every responsible observer" thinks he will win is stupid. I think most objective observers give the edge to Crow, but remembering president Hillary and the unreliability of polls doesn't make one irresponsible. The next four days are for working. Save the gloating for election night. 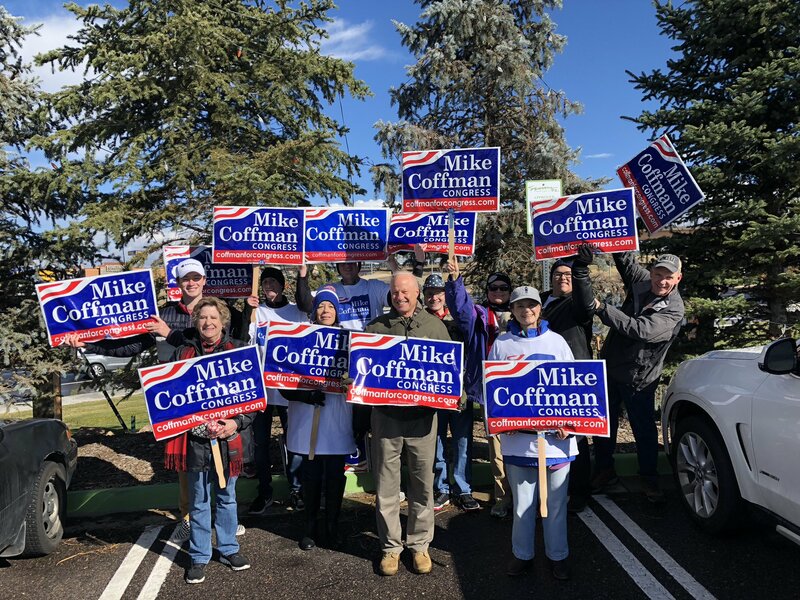 We're strictly referring to the election forecasts that have been made for this race in addition to polls, every one of which from a credible source that we have seen predicting Coffman will lose. If he survives again despite all those predictions, we'll be here to eat…never mind. "Credible" I can buy. But to say it is "irresponsible" not to count your chickens before they hatch is wrong. I think many polls will miss badly this year, mainly by underestimating the turnout of young voters. If so, a lot of Republicans will cry in their single malt Scotch. But if I'm the one reading the chicken entrails wrong, well, it wouldn't be the first time. At this point our job is doing everything possible to assure that those and other "responsible observer[s]" get to engage in an orgiastic extravaganza of self-laudatory chest thumping come Tuesday night. I'm off to pester some Dems who haven't voted yet. All y'all have a good rest of the weekend! Vaya con Nachos, Genghis, and may your tribe increase! The New York Times reports it had to call 51,983 Texans just to talk to 800 in it's latest Cruz/O'Roark poll. That's almost a 99 pct refusal rate — and with under 30 voters the refusal rate was almost 99.5 pct! That suggests the whole premise of polling, that your sample is representative of the "universe" being sampled, may be wrong. There is also reason to suspect that millenials — who rarely vote, may do so in much higher percentages this year. For these reasons and more, there is reason to be very sceptical of polls and predictions this year. Work your butts to the bone then curl up at 7 p.m. with a case of PBR and listen to the vote count. That's not being "irresponsible" as pols weirdly suggests. It's being cautious and realistic in a year when educated women and young voters may finally be rewriting the rules. So much this, Voyageur! The press and political organizations relying on phone-based polls and GOTV remind me of early 20th century taxi drivers who still thought mobility was about the right mix of grain and hay for their horses. I'm hoping we pull it off anyway, but if not, I'm really hoping that this time we'll accept it's time to hang up the phones. (Note, I'll admit that texting may still be a good use). I've been tasked with reaching out to my community's under-35 voters – I'm relying heavily on text messages – because they do. They rarely watch TV or answer phone calls from strangers. Their smartphones, though, are constantly in use. If you want to reach the younguns, texting, instagram, youtube and other social medias are your pathways to make it happen. Reminds me of what was written about Kennedy/ Nixon. Those who listened to the debate on the radio favored Nixon. Those who watched it on television favored Kennedy. Photogenic was the last thing Nixon was. I was traveling on the Western Slope this weekend, but took time out to walk/drive a turf for Diane Mitsch Bush in the Ridgway area. Ridgway is a town of 973 residents, in a county with 4,794 people. 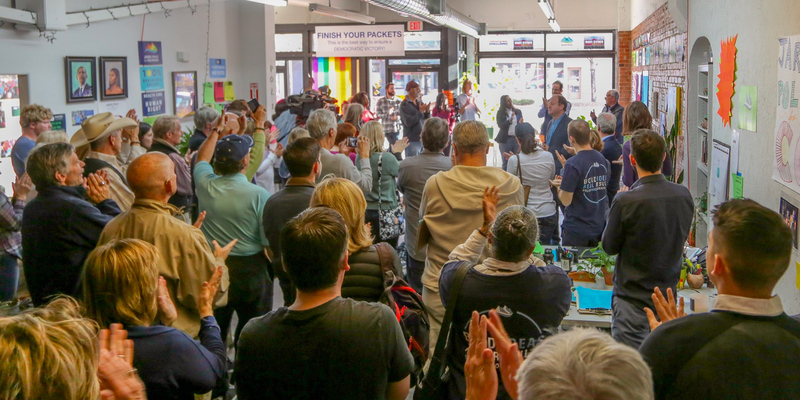 But here's what the Dems and supporters are doing there, according to the person coordinating the canvassing: A phone bank of 20-some people one night, 30-some people another night, people canvassing all over and coming back for more. Most people I found home said they had already voted, and had voted for Diane. Those who still had their ballot had a specific plan to get their ballot in, and were voting for Diane. Let's keep our fingers crossed and GOTV! Taking the seat from Tipton would put a lot of pressure on all the county and state Oily Boyz. Over here, from Montrose county northward, every single county commission has been owned and controlled by the Oily Boyz, in fact, they have stuffed the state and federal agencies ( the COGCC…the BLM, for instance) with acolytes, if not actual employees, to the point where the BLM no longer means the Bureau of Livestock and Mining…it can fairly represent the Bureau of Leasing Minerals. Without Tiptons' cover in Washington, things may get a little tougher for our local electeds to allow the excesses and give all the freebies to the industry that needs them least. Go Diane! Make CD3 "Scott Free"!! We can hope. I can't vote for her but I sent her $$200. Turns out that is a lot more useful than thoughts and prayers. Duke, It's the Bureau of Land Management. That's the old name, Cookie. Now, it's the Bureau of sinecures for right wing hacks who want to live off the taxpayer's without doing any work. they are working on a snappy nickname. For decades, the Bureau was principly involved in establishing and maintaining regs for ranchers and forestry operations (hence my joke). The collective ranching community being a vast landholder in the west, it seems natural they would be the principal beneficiary of Oily Boy largess, hence the equally natural progression to a focus on oil and gas operations where that activity is intense…like NW Colorado, among other areas in this state. When the Bush administration launched the big plays in the Piceance Basin, I had several friends working at the BLM among other federal and state agencies. They were uniform in their stories about how their energies and time were directed to approving drilling permits and little else. And what change there has been is for the worse.